One of my true delights on my blog is when you all leave me comments and feedback on my work. Sometimes it can feel like I’m talking to the air and I only get lots of love when I do a giveaway, so I wholeheartedly love to hear from you! 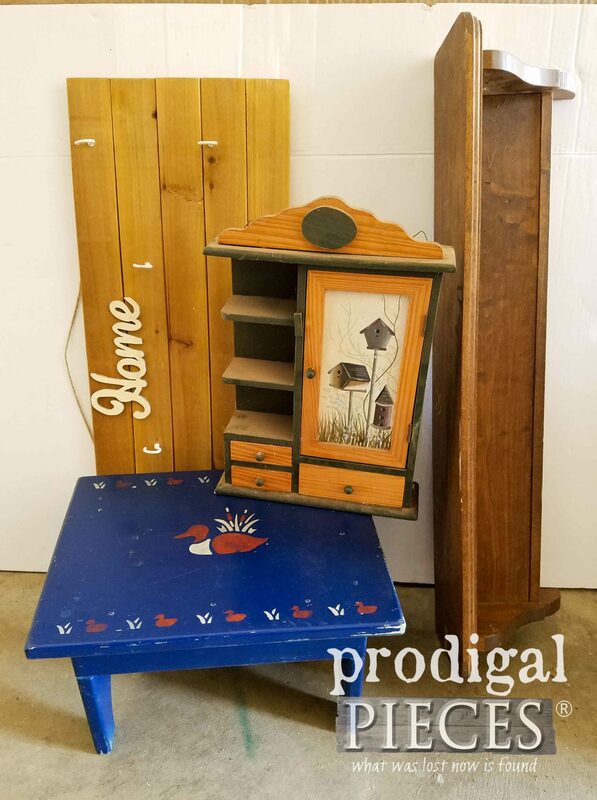 It seems that many of you love when I take a collected thrifted assortment and give them each a makeover. Today, I have a new lot for you. This motley crew is about to become an example of how to create budget farmhouse decor. 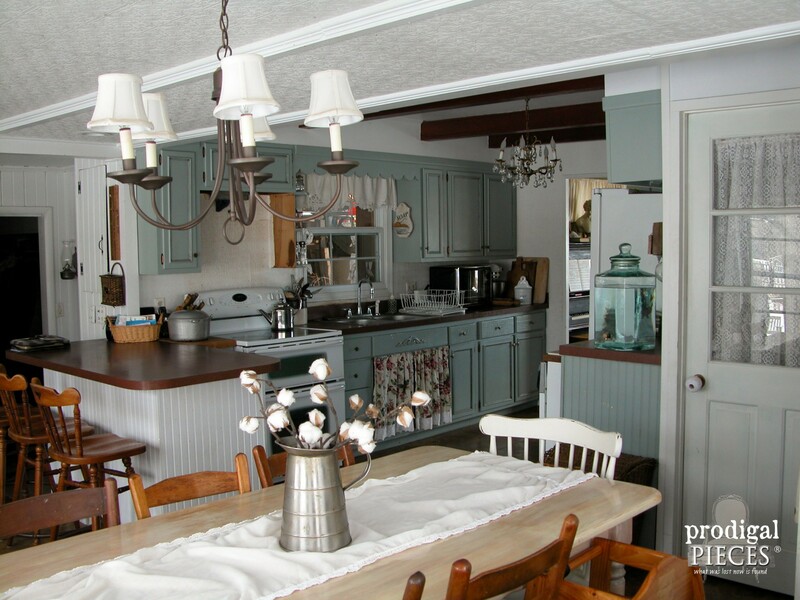 One of the things I often hear from you, my readers, is they just don’t have the budget to make their house into the home they like, or they lack vision to make something old or outdated into something new. That’s where I come in. My goal in my blog is to take away those worries and inspire you to at least try. My own budget is so small you need a microscope to see it. As for vision, that comes easy to me and why I share. Today, I’m here to not show so much a grand makeover, but hoping to show you how you can get the look you’re after for less. 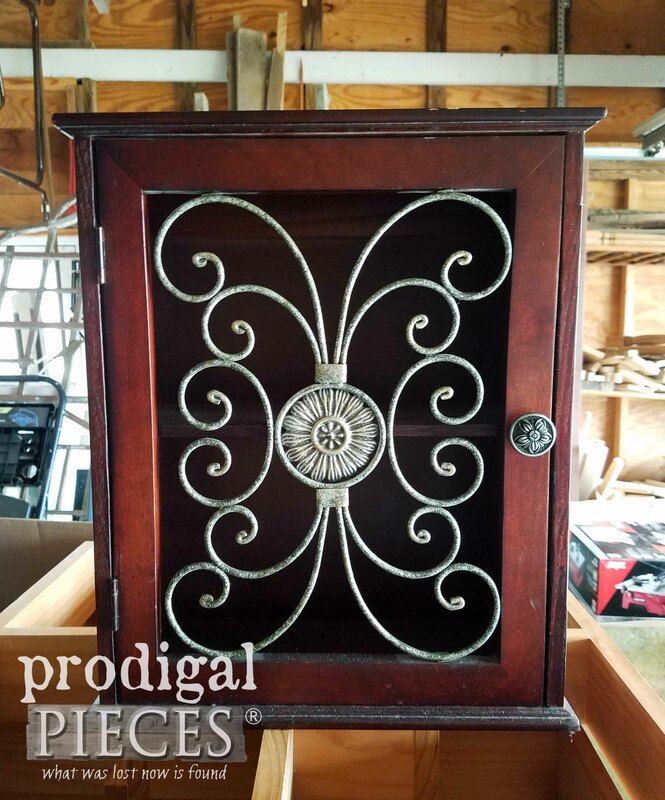 Take for instance, this box used for home decor storage. Do you ever leave a project unfinished and it irks you that you never got it done? That’s me, at least when it comes to our mudroom. A few years ago I remodeled that space, but injured myself while doing so. I got done as much as I could and then stopped, planning to get back at it. Well, babies and life happen and time slips away. 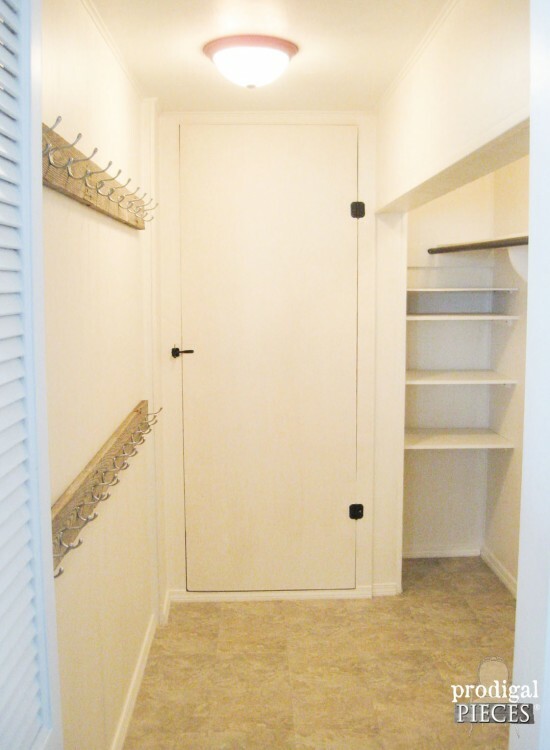 So…today I’m getting back in there and doing a mudroom makeover. Plus, we have two winners for last week’s giveaway AND kicking off a new giveaway today. Yay!! First, let’s take a look at this project. This was our mudroom in the true before. Last week I was sharing with you about creating your home outside of your home. Well, your outdoor decor can create just as much of a welcoming feeling as the interior of your home. 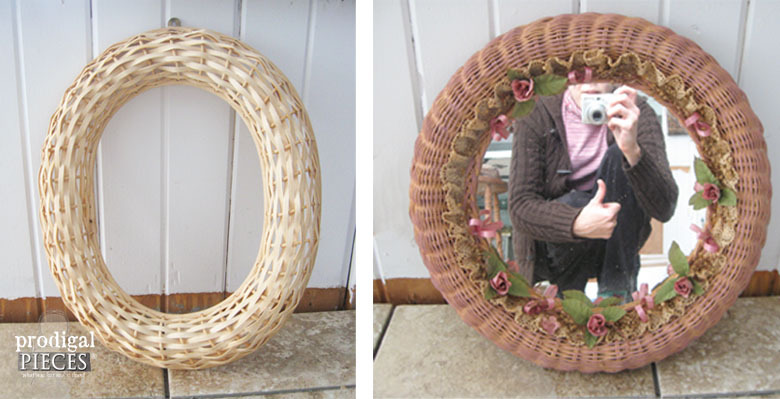 What better way to do that than to create that cozy feeling in a budget-friendly style? You know that’s my thang. 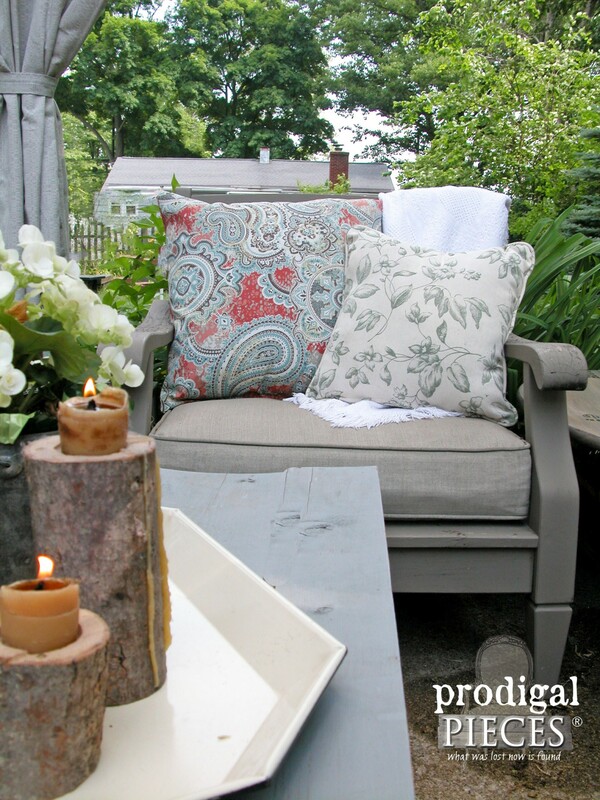 Many of you have asked about them, so I’m sharing how I made my DIY outdoor pillows from thrifted pillows. 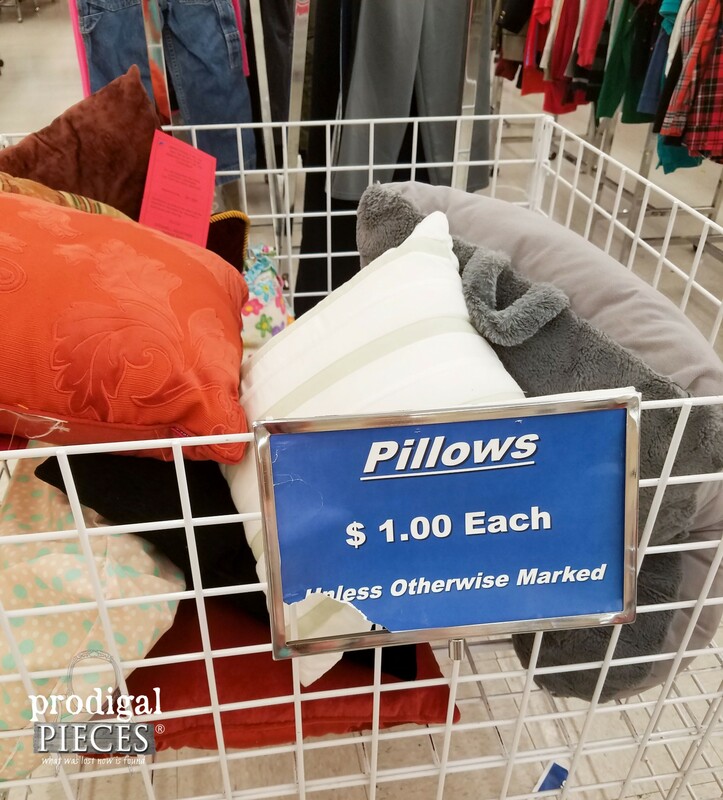 Today we’re going to head to the thrift store today to find some cast-off pillows to turn into your own DIY outdoor pillows to accent our backyard decor. Yes, we’re using thrifted pillows for our project because they are going outdoors and are so inexpensive compared to$20 for a solitary store-bought pillow. Or how about $10 for just a pillow form or bag of stuffing? 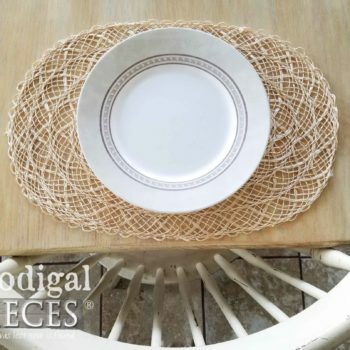 That cost comparison doesn’t include the fabric, thread, or other notions you may want to add. My pillow project will cost you about $8 or less for each pillow. Score! Before we get started, it’s time to announce the winner of last week’s giveaway for a hammock chair from DFOHome. eep! Y’all have been so patiently waiting for my kitchen update and today’s the day! We started a month and a half ago and have been working harder than ever before to get this project done, but as with everything DIY, there are hang-ups that happen. I’m so excited to share my husband’s hard work on our gorgeous floor and a secret to getting budget window treatments for your home. Yay! 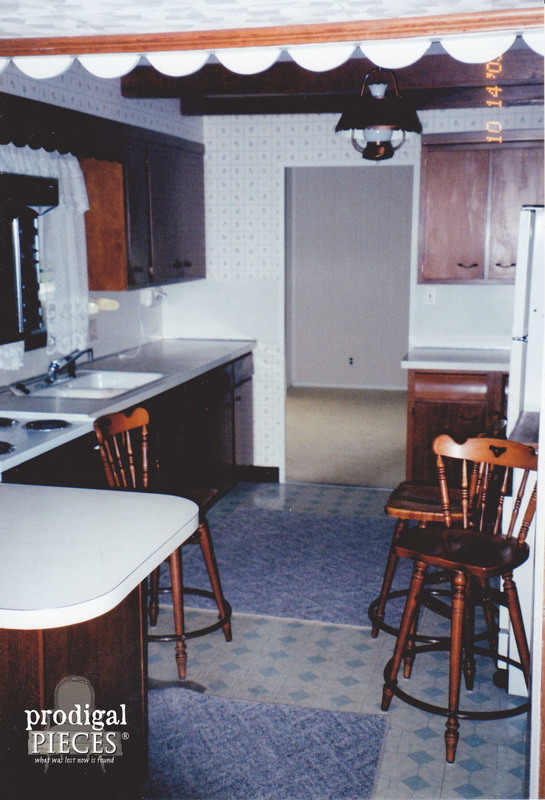 To catch some of you up to speed, you can read all about the start of our kitchen remodel HERE, and this is our starting point when we bought our home in 2003. When we bought the home, the dining area had been converted from a screened in porch and we took out a wall to the two rooms could flow. 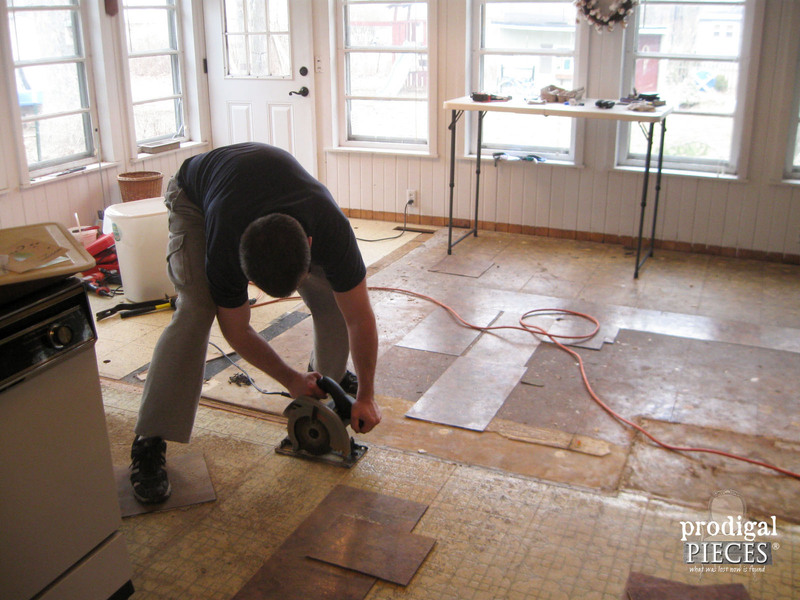 With that there was a transition in the floors that was not very good, and there were 4 different layers of old flooring to deal with. 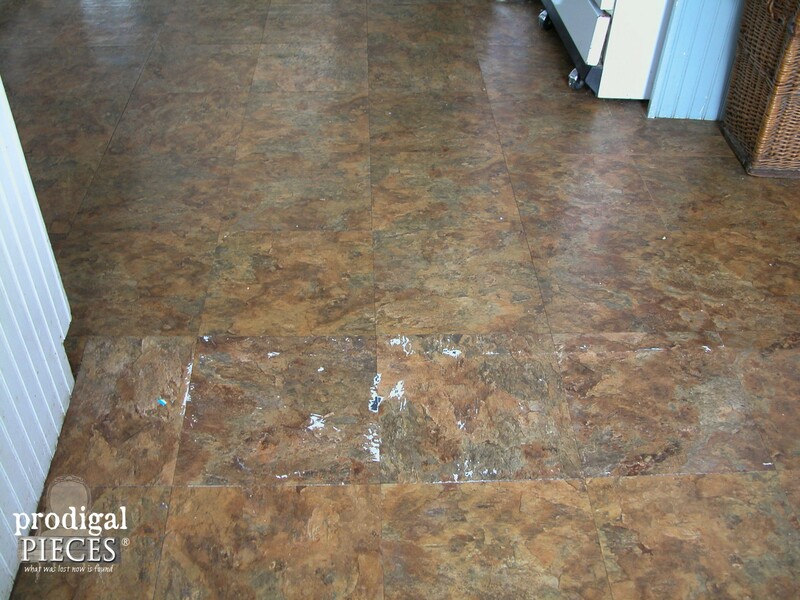 *this post was sponsored by Floor & Decor and eFaucets and does contain affiliate links. Making your house your home shouldn’t have to break the bank. I’m all about creating my own space by using thrifted finds transformed into something new. 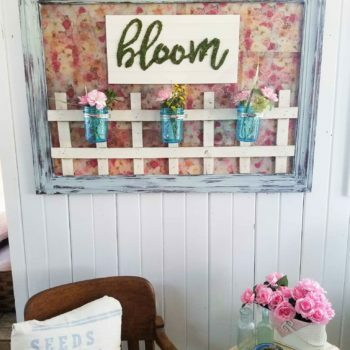 Today, I’m going to show you how I took a couple of different basket frames found at a local thrift store and turned them into custom wall art. Would you have considered these two dated frames as having potential? In order to do that, you kinda have to look past the obvious and see something more. That can be hard at times, but seriously, most anything has potential to some degree, right? 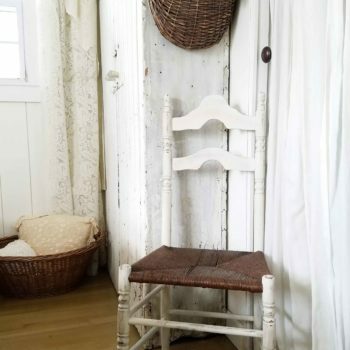 Do you cherish a beachy scene and want to add coastal charm to your home? Make the beach ambiance come to you by creating your own beach décor. 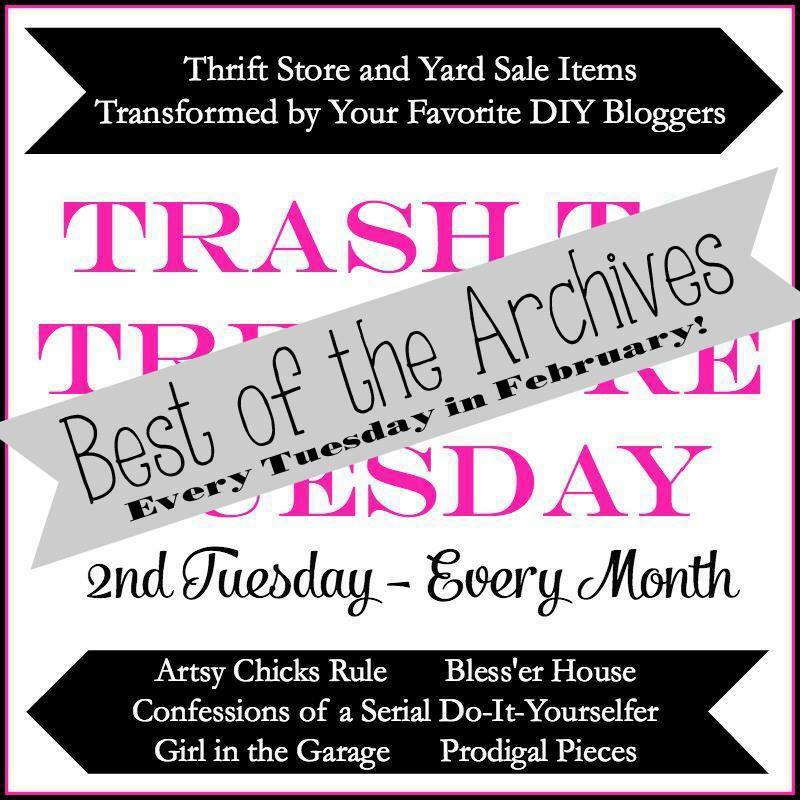 Today, along with my blogger friends, I’m sharing one of my Best of the Archives for a month of Trash to Treasure Transformations each Tuesday. Yay! 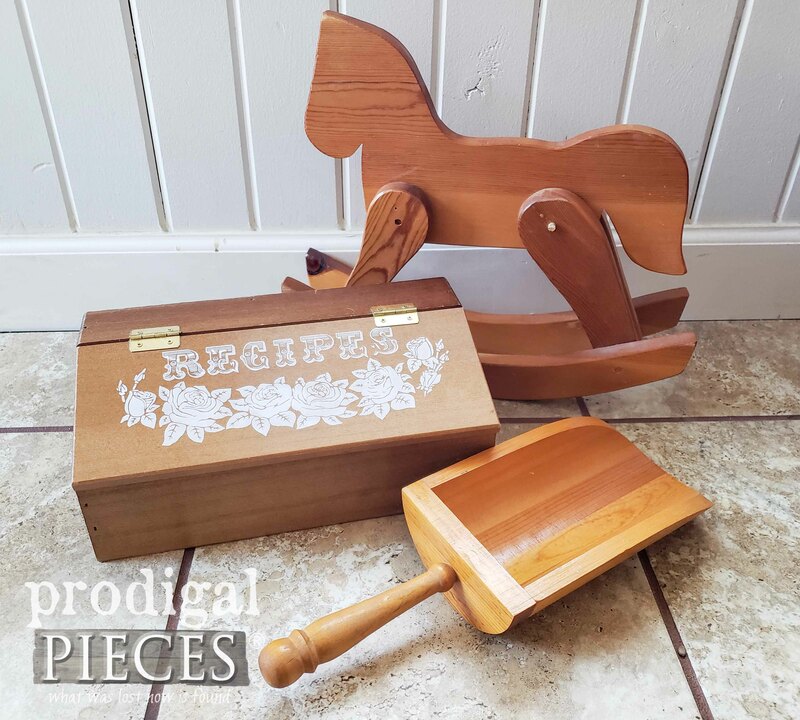 Be sure to check out their projects later on in this post. One of my subjects for this project is a Craiglist cast-off. 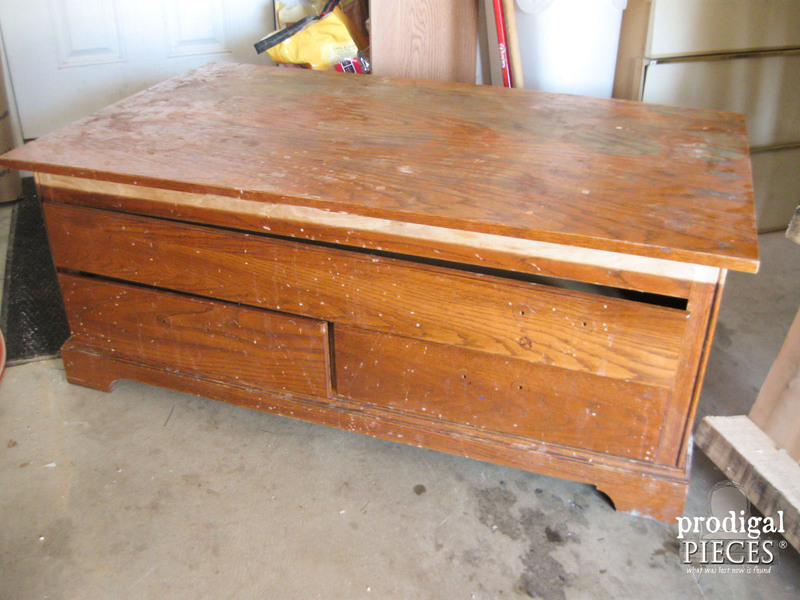 I found this oak coffee table / entertainment stand that was in need of some superficial love. Today’s the day! WAHOO! 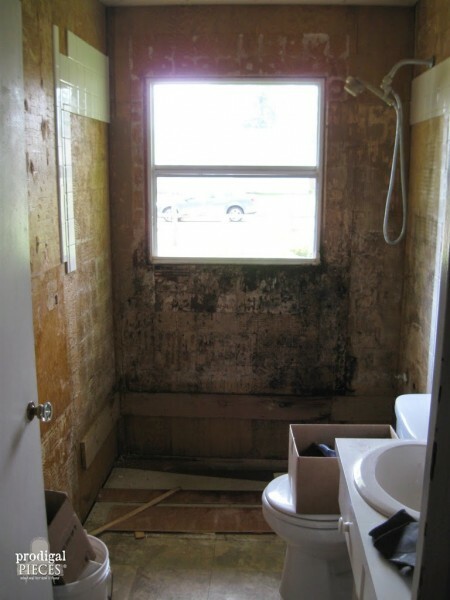 Yes, I’m excited and yes, I can show you the final product of all our work in our one and only bathroom. Now, for those of you just stopping in, I’d like to take a minute to catch you up to speed. 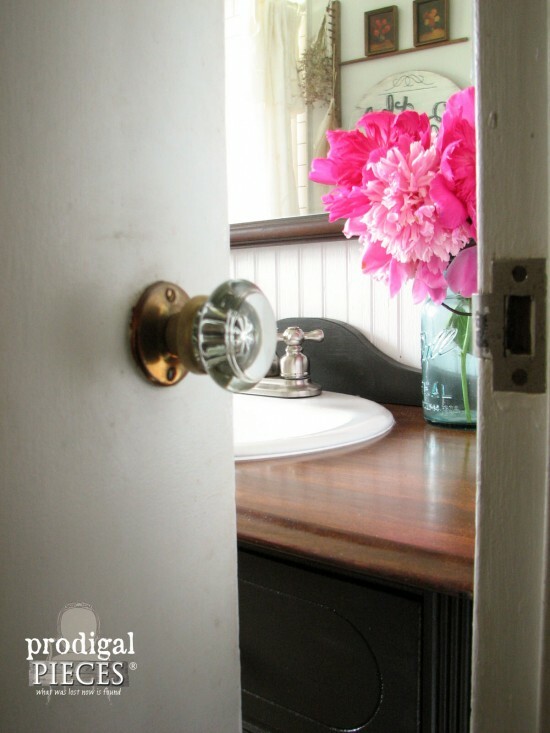 My family and I are remodeling our house (again) and our latest project was our master bedroom, and sort of at the same time our soon-to-be farmhouse bathroom over the last year (while also having babies and a grand ol’ time). 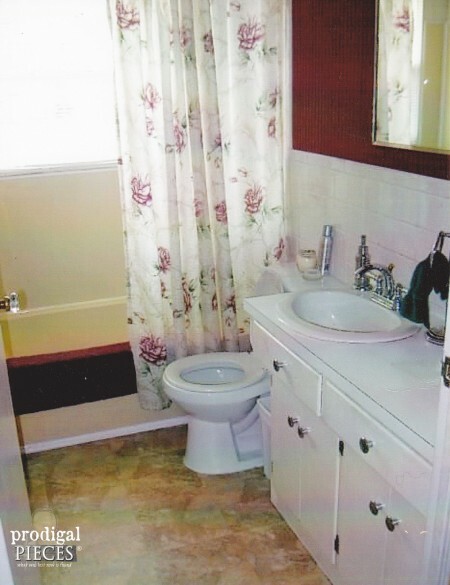 When we bought our home in 2003, this is what the bathroom looked like. In case you’re wondering, this is a scanned and uploaded photo, so you could get the full effect. Now I am really dating myself. ahem. Cast iron green bathtub with matching green commode, glass shower doors, 3″ creamy white square tiles on the bottom and 1″ white with gold square tiles on top. 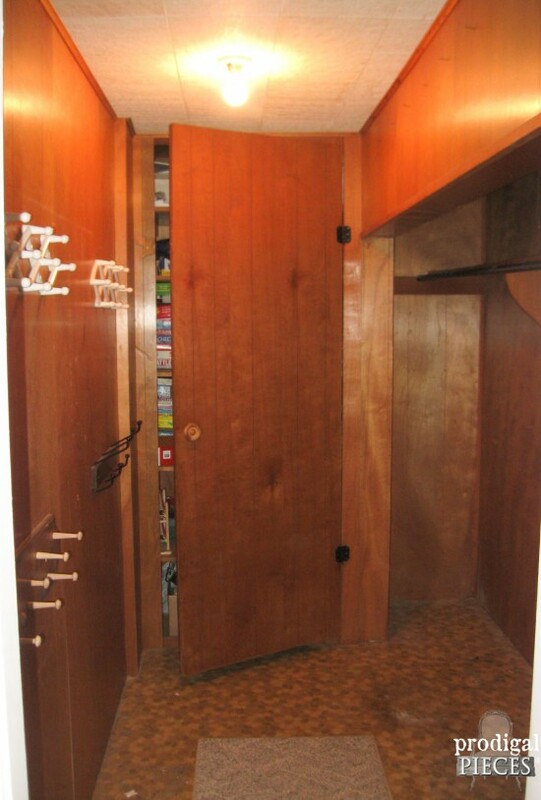 Berber carpet on the floor, clear corrugated plexiglass type drop ceiling, an indoor/outdoor light complete with outlet attached, and a single mirrored medicine cabinet. Oh yeah, total room for improvement. 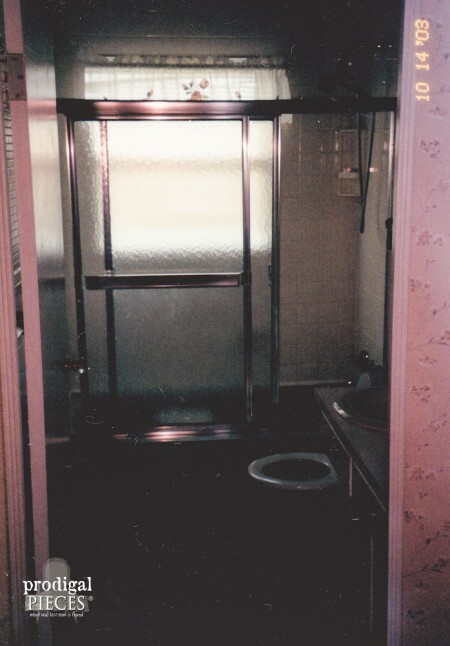 First makeover included painting upper tiles dark maroon and the ceiling panels and grids white, added green floor tile, plus mirror and light fixtures, and took out the shower doors. 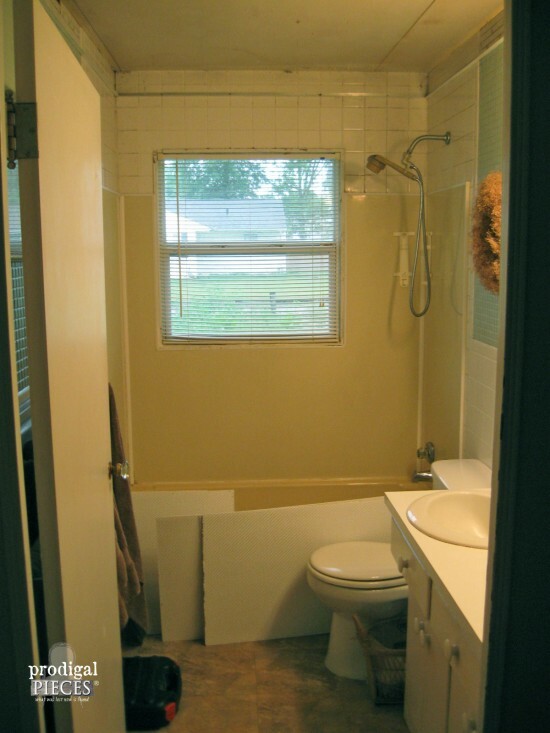 It wasn’t until a couple years later I painted the upper tile a soft green and changed up the decor. This picture shows after we already tore down the ceiling and getting into gutting it from top to bottom. Third times a charm, right? tsk. Well, this time was for good because we needed to replace that window and we wanted a clean start, a GIGANTIC do over. All the details about the start of our project, including how we got a massively heavy tub in there are here, and the latest upgrades are all here. Take a minute and catch up…it’s a good read. Are you ready? We are! !